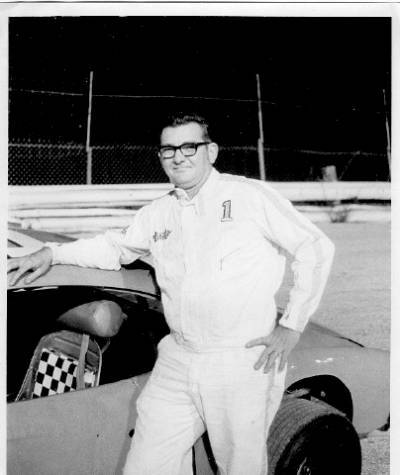 George Sweeting was perennial track champion in the modified class. 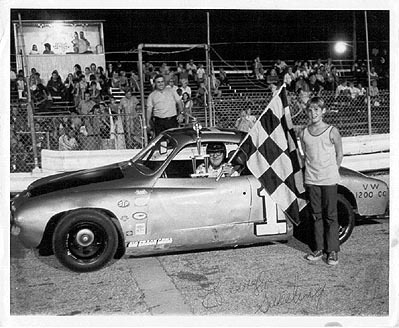 Here he is in the #1 Kharman Ghia after one of his many feature wins. Standing next to the car is his son Chuck. 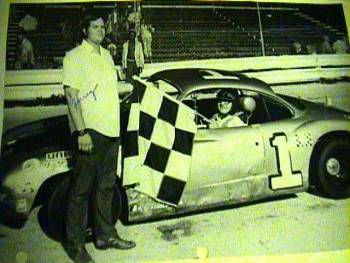 In mid 1973, George held the track record for modifieds at 10:35. Here is a good look at the champ. Pete Castellano is flying in the #10 Renault R-8! 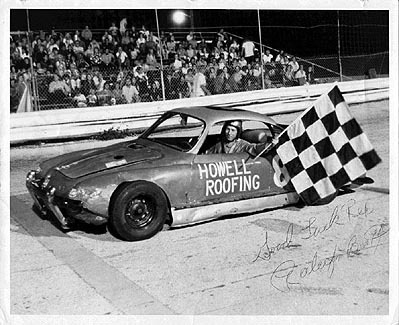 Here is Raleigh Beatty after one of many of his popular victories in the Howell Roofing #8 VW Kharman Ghia. Another shot of Raleigh and Nancy Beatty. This car was purple with a yellow roof and numbers. Another shot of Raleigh and Nancy Beatty. 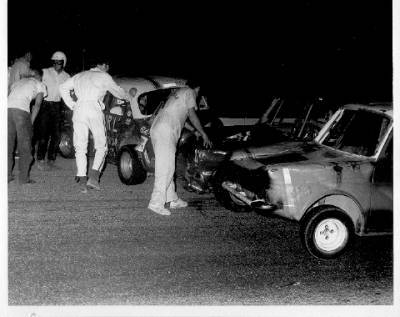 Who says ministock racing isn't intense? 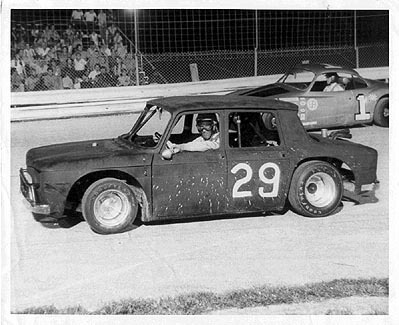 Art Dahlberg has his game face on in #29, a Renault R8. Track Champion George Sweeting is on the outside in the #1. 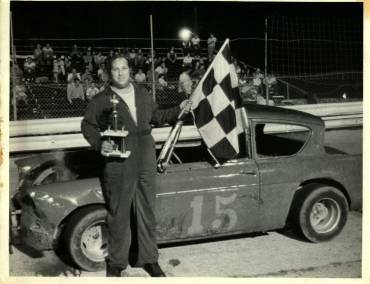 Bob Forman in the #15 modified Anglia was a crowd favorite. Strange but true: Bob Clearly remembered signing this picture. He says it is the only autograph he ever signed! 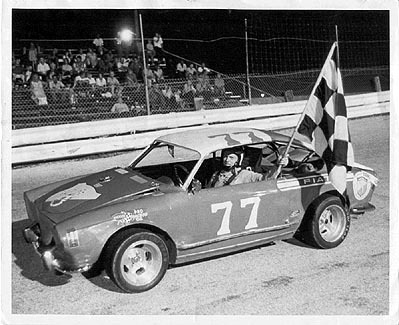 Bob scored a main event win on Sept. 23, 1972, and had to beat all the big boys to do it! Miles Cole wins in his super-quick #77 Fiat. Starter Gerald Andrews greets George Sweeting after another win. 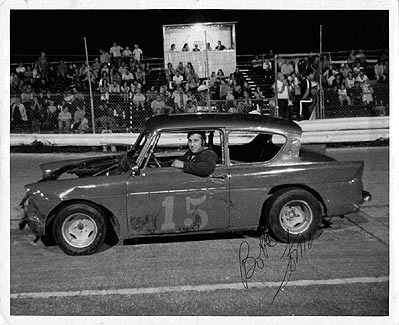 Gerald occasionally ran his own modified mini, #5. Ron Wynn from Key Largo is ready for action in his # 91. 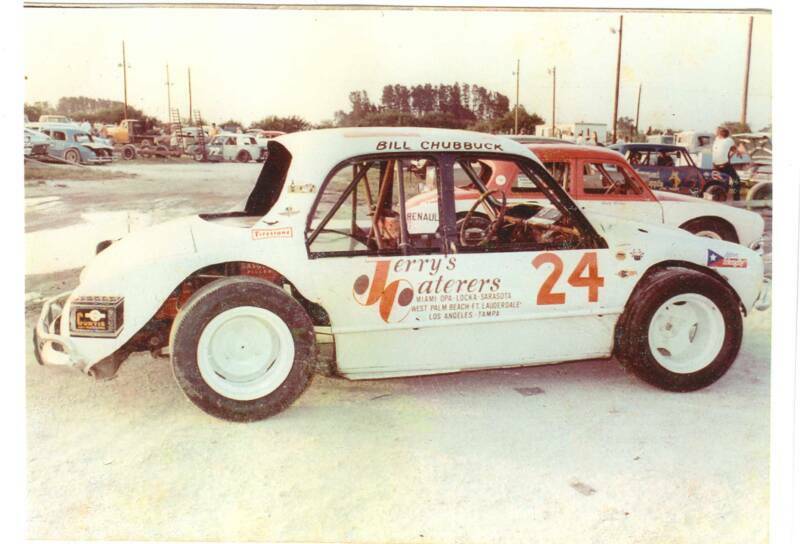 Ron also drove TQ's, and later went on to run Late Models at Hialeah and Palm Beach. 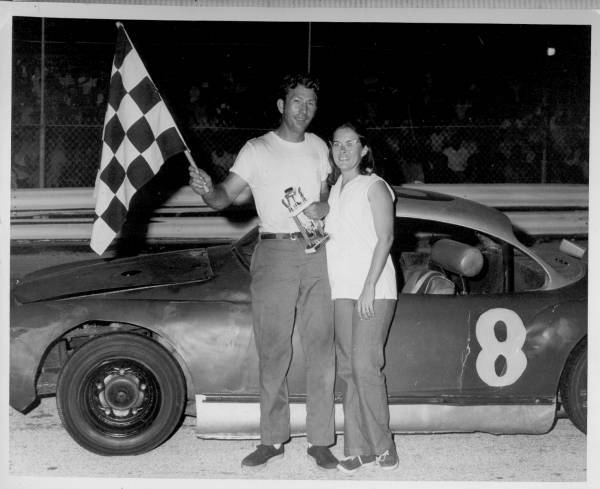 Art and Bitsy Dahlberg celebrate a win. It looks like Art had to do some passing on the outside tonight! This one may take a bit to figure out... 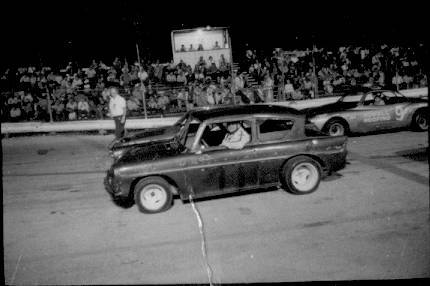 The car on the left with the white roof is Clarke Little. Here are a couple snap shots from my "Instamatic" camera. Joe Varner relaxes with a friend after a Sunday race at Hollywood Speedway. 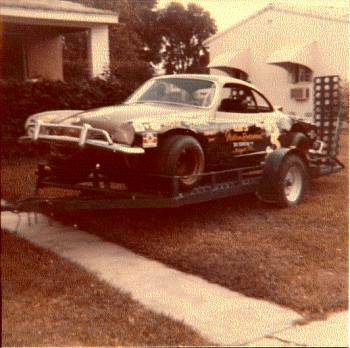 "Little Joe" Lesserra has his Ghia loaded up and ready to race. Joe lived across the street from George Sweeting in Miami Springs. 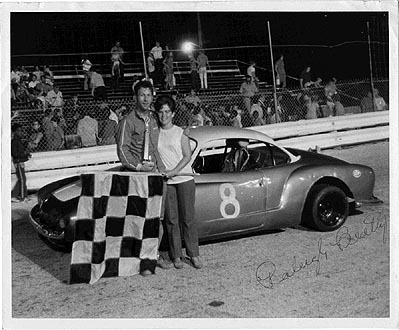 George Sweeting would return to Hialeah Speedway where he won the Late Model track championship in 1980. 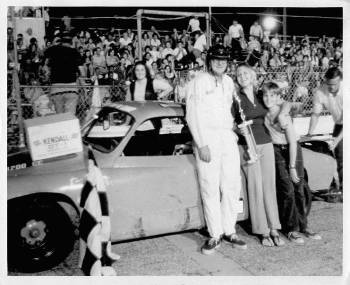 Here is is joined in victory lane by his daughter Joy and son Chuck. 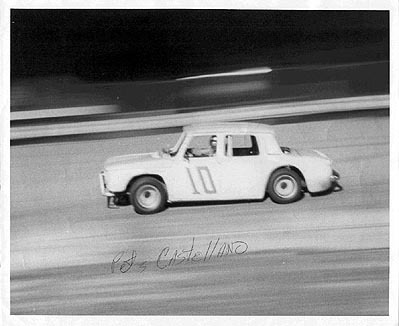 Bill Chubbuck pits his Renault outside turn two at Hollywood Speedway. 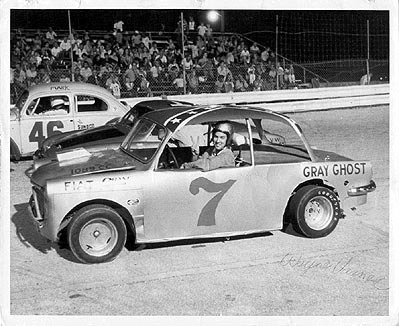 Rob Bean's car is parked next door, and Dennis Butler's #72 can clearly be seen in the background. 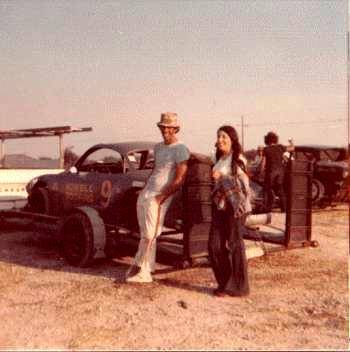 Although I don't have any pictures to show it, Bill raced at Florida City too. 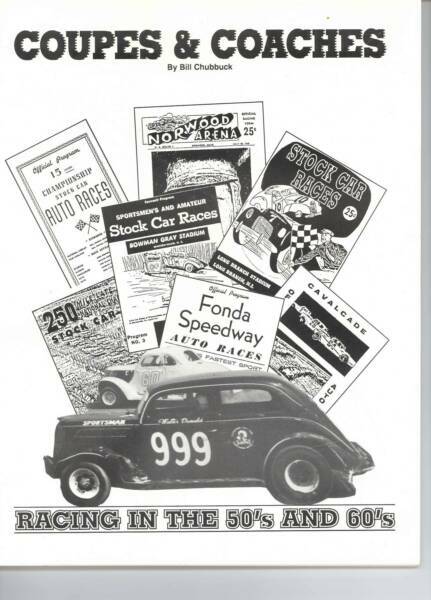 He currently operates a store "Racing Relics", and has written a book about stock car racing, "Coupes and Coaches". Here is the cover of Bill's book. 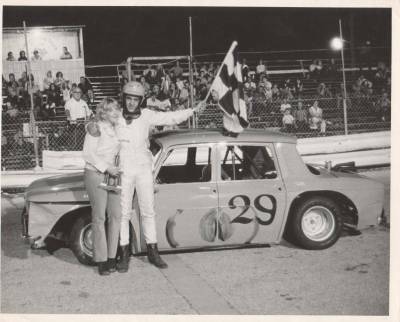 Before racing in Florida, he was already a veteran of the Norwood Arena.